If you've just casually glanced over the mass reactions to Reed Hastings' decision to split the DVD-by-mail business of Netflix into its own brand and company, you've probably been duped into thinking that it's the second questionable move that the world's most famed movie delivery service has made this year. But is it? Is a man who turned a red envelope into a symbol of near-immediate gratification really a moron? Did he really just bury the company he worked tirelessly to create? I highly, highly doubt it. Knee-jerk reactions are always fun to watch, but they're rarely on-point. As with most things in life, the truth usually resides somewhere in betwixt the extremes. And in the case of Qwikster -- the DVD-by-mail service that precisely no one asked for -- the truth is hiding in exactly the place that Reed said it'd be: the future. Aside from apologizing for not being vocal enough during this year's sudden price hike, Netflix's CEO also made clear that his company was "evolving rapidly," and his goal from here on out is to move "too fast," if anything. So why, might you ask, did Reed just make a 180-degree turn, slam down the pedal and throw his entire DVD business in reverse? Because that's exactly what needs to be done. Creating a completely unmemorable web address with a totally unmotivated mantra reeks of idiocy -- and failing to grab the Qwikster Twitter handle from an apparent stoner just has to be intentional -- but it all seems to make a bit more sense when you're proactively ridding your company of a business that will do nothing but nosedive in the years to come. Like it or not, physical DVD distribution isn't an area that most sane folks would categorize as "primed for growth," particularly not when bumped up against streaming. Netflix admitted in October of last year that it was now "primarily a streaming company," so the shrill sound of shock resonating around the tech universe today is a bit hard to grok. Did we all really forget the direction Netflix was already moving in? 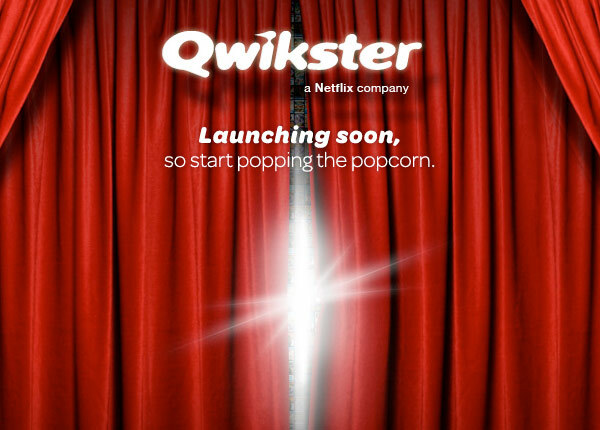 All that happened with the introduction of Qwikster was a scorching beeline towards the end result: a thriving business devoid of physical movie delivery options. Of course, everyone's seemingly focused on how much of an annoyance this is for customers in the here and now, and I can't readily disagree. Having two separate movie queues, two separate charges and two separate rating libraries sounds like a heck of a lot more work. But that's exactly the point. 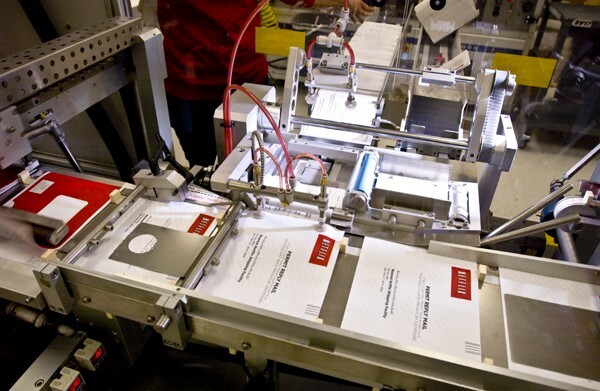 Take a closer look at what Reed is aiming for here: if he's "moving quickly," there's at least a sliver of a chance that Netflix is proactively separating itself from a dying business (DVD-by-mail), while leaving the namesake on a business that has huge growth potential (global streaming). It also gives Netflix proper the ability to focus solely on hammering out better content deals for customers, pushing for earlier access to new releases and perhaps even landing deals that would've been impossible with the DVD business still along for the ride. The truth of the matter is that Netflix could continue to run a profitable by-mail movie business for years. Maybe even a decade. And they'll certainly give GameFly a run for its money in the game-by-mail segment -- a segment that isn't nearly as ready to be dominated by streams just yet. But in a way, Netflix is was competing with itself as well as Redbox, and it's undoubtedly spending gobs of money on fuel, distribution centers, postage, ruined discs and leftover coasters -- spend that'll be increasingly harder to justify as broadband becomes more ubiquitous, more content is primed for streaming and more of these things hit the bargain bin at Walmart. Think of it this way: if Reed's forecasting a future where it no longer makes sense to continue the pursuit of a by-mail DVD business, how would he rather say goodbye? Flushing half of Netflix away and dealing with the backlash? Or quietly shuttering an awkwardly named website no one was particularly enthralled about from the get-go? And then there's the stuff we simply can't know about. I'm surmising that Netflix is on the precipice of locking down a few streaming deals that'll have everyone smiling. Reed knows good and well what you want -- you want more new content available for Watch Instantly, and you want more television shows to appear in a more timely manner. I'd wager that he's working on it. Hard. And by getting the laggard of the bunch off of his mind (and onto that of Andy Rendich), he's in a much better position to accelerate the service that everyone actually cares about. Fast forward five years, and I'll bet that hardly anyone's clamoring over Qwikster at all. And what of Netflix's relatively quiet investments in content discovery? There's a better-than-average chance that Reed's algorithm makers are betting that they can figure out what you'll be into before you can, and from there, it can offer up material you would've never have thought to look for -- regardless of the source. And then there's the assumption that Reed loathes listing a DVD on his site that isn't available for instant streaming; split the sites, and the problem vanishes... depending on perspective, of course. What really happened here is quite simple: Reed Hastings just put a gun to the side of his DVD-by-mail business and pulled the trigger. Given that he aimed for the ankle, though, it'll probably take a while for it to completely bleed out. But hey -- proactively putting a fading business out of its misery sure beats bleeding for it on the balance sheet.